Jet skis are the most interesting pleasure crafts on the water regarding maneuverability, acceleration and leisure time fun. If you can call such a water "motorcycle" your own, it is important to have a good insurance for a long time of fun on water. 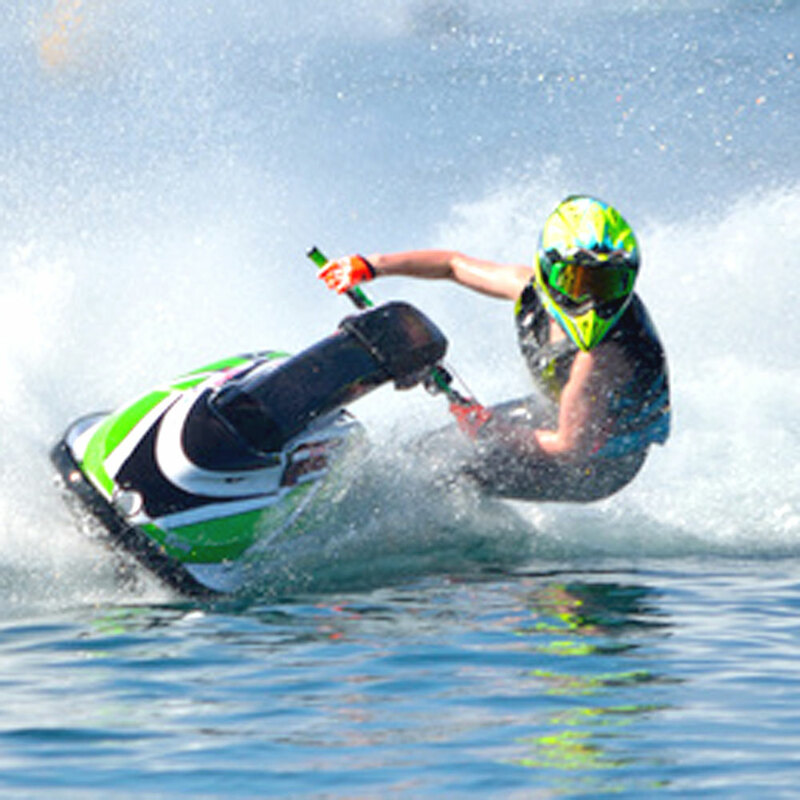 Due to the compactness and speed of jet skis miscalculated waves, for example, can quickly lead to accidents. We, the EIS European Insurance & Services GmbH, have recognized the trend towards this new pleasure craft as one of the first water sports insurances and offer an insurance package exactly adapted to these vessels. With our BASIC-cover adapted to jet skis you will enjoy an insurance cover up to a distance of 12 seamiles from the coast or from the mother ship. The insurance cover for theft can be included according to technical preconditions and, if so, even be excluded from the deductible.